How easily the free movement of workers can be eroded! The Conservative Party conference in the UK this week has certainly ruffled some feathers. Some commentators have referred to Home Secretary, Amber Rudd's proposal to force companies to disclose their foreign workers as akin to a modern day star being sewed on those employees' sleeves. A 'hard Brexit' indeed. No wonder the pound is plummeting! Recruitment agencies in the UK have advised that this approach will only serve to create further talent shortages for businesses in the UK. Current polls show serious skills shortages in accountancy, HGV drivers, architects, care workers, scientists and tool makers along with electricians, call centre staff and bricklayers. It certainly won't do much for the UK's reputation in attracting foreign investment! Ireland should grasp this opportunity to attract further business. Ireland needs to make it clear to the rest of the world that we are still a member of the EU and open for business. Our pool of potential talent is EU wide. On a recent US visit I found it very worrying that when I said I was from Ireland several responses were - 'didn't you guys just vote to leave Europe?' Scary stuff! Let's get the Irish message out there. 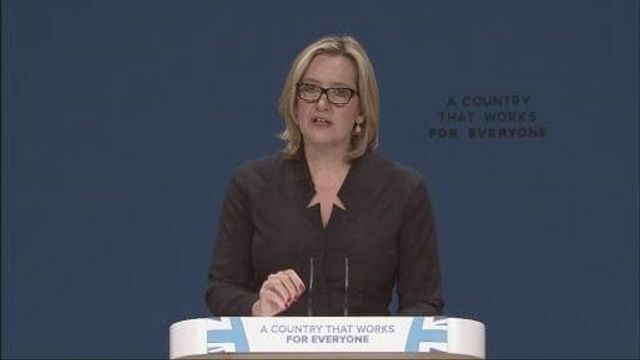 Amber Rudd used her speech at the Conservative Party conference to warn that foreign workers should not be able to "take the jobs that British people should do". She revealed that companies could be forced to publish the proportion of "international" staff on their books in a move which would effectively "name and shame" businesses which are failing to take on British workers.